Oliver S. Tyr: Vocals, Irish bouzouki, Nyckelharpa, Mandocello, Celtic Harp, Saz, Tar, Guitar & various Lutes. Fiona Rüggeberg: Vocals, Bagpipes, Flutes, Rebab, Recorder, Fujara, Seljefloit, Harmonium, Chalumeaux & Pommer. Stephan Groth: Vocals, Hurdy-Gurdy, Cistern, Whistles. Rüdiger Maul: Darabouka, Davul, Bendir, Tamborello, Riq, Berimbao & other percussion instruments. 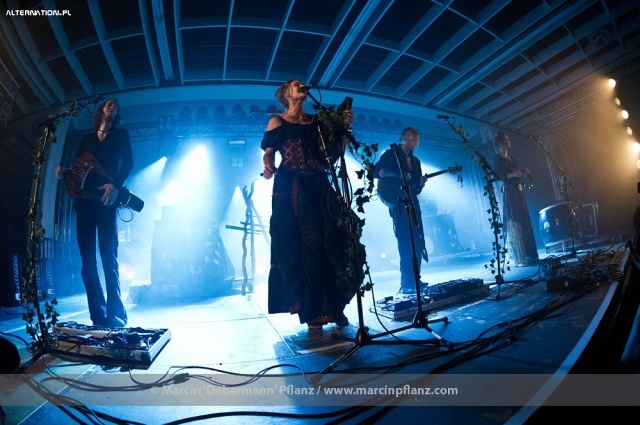 Faun is one of the world's leading bands in the fusion of old sounds, medieval, celtic and nordic folk with modern music and have now released 8 CD's and 2 DVD's. Faun were nominated three times for the "Echo", (Germany's largest music award). Their CD "Von den Elben" has reached platinum status and was four weeks at number 7 in the German album charts, "Luna" the latest album from Faun even reached number 4 on the album chart. 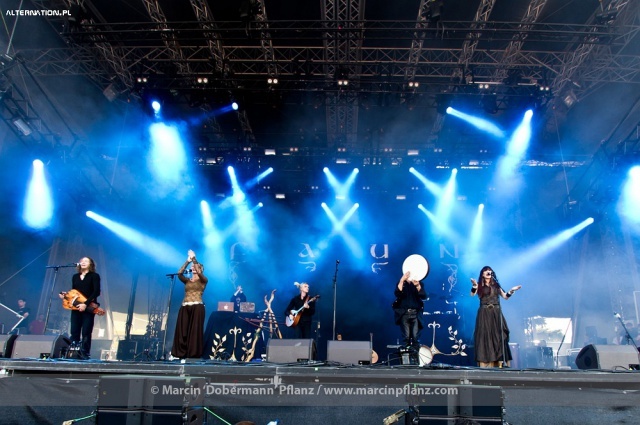 Faun played so far more than 800 concerts around the world and is touring with different shows, like a seated concert for theaters and classical venues, but also with a powerful festival set, with big drums and a mesmerizing light show for big festivals and events.